We left East London just after sunrise on the 3rd of December with a gentle ENE pushing us down the coast. An uneventful trip ensued to PE although it was damp and cold. 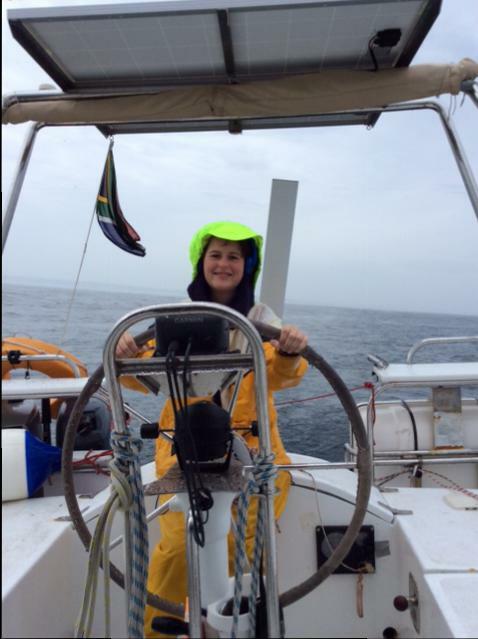 Coming into Algoa Bay, motor sailing into a SW wind and low cloud was easily the coldest I had been in many months. We had been spoilt; board shorts and t-shirts had become our standard outfit in anything but the worst weather and now we were reminded that we were moving south! 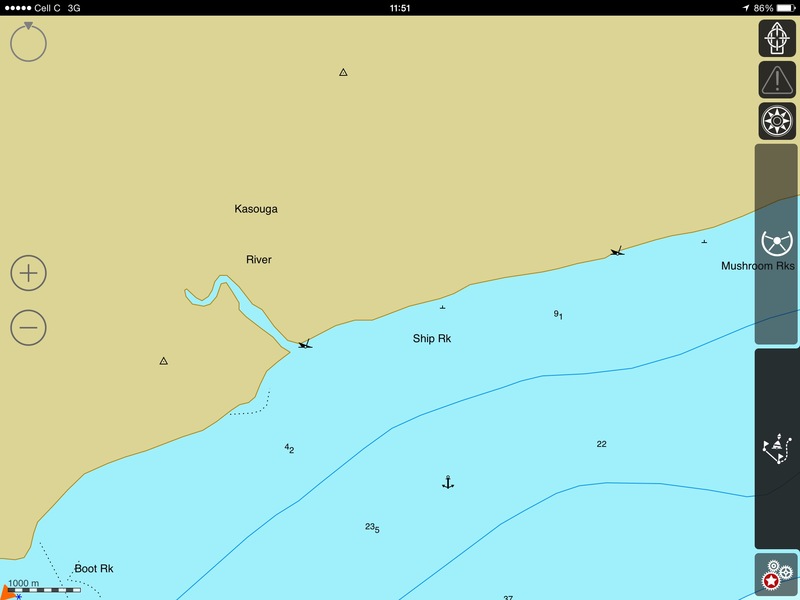 On the way down the coast, as I check the charts, I notice that there is a ‘Recommended Anchorage’ annotated just offshore of the Kasouga River! I remember visiting there often when living and working in Port Elizabeth and that part the of coast does not lend itself to anchoring by any stretch of the imagination! It makes you wonder how this got onto the charts and hope that no seafarer in urgent need of an anchorage relies on what the chart says! Arriving in PE early in the morning of 4 December, brought back all sorts of memories from my student and early working days. Algoa Bay Yacht Club was where I started sailing keelboats with some amazingly talented people. I still sail with some of them today. Having family in PE meant family time and how great it was to be able to spend unrushed, quality time with them. It was also nice to catch up with friends I hadn’t seen for years! PE always pleases with its friendliness and creativity. We had a family breakfast at a restaurant in the country, called Grass Roof and were seriously impressed with the food quality and service. 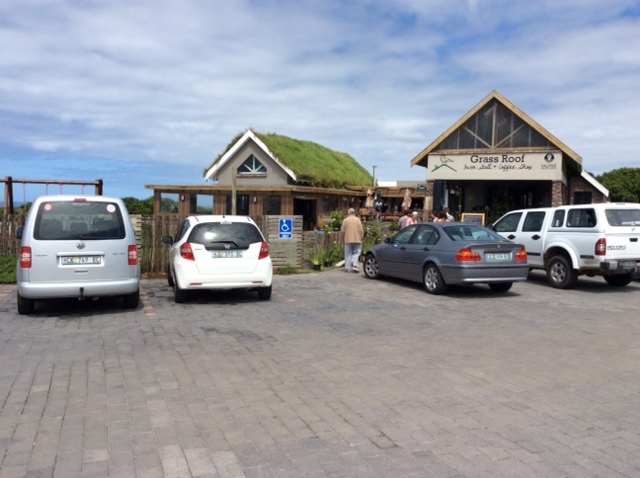 Another fantastic place that we found was the Bridge Street Brewery in the Baakens Valley, not far from the harbour entrance. 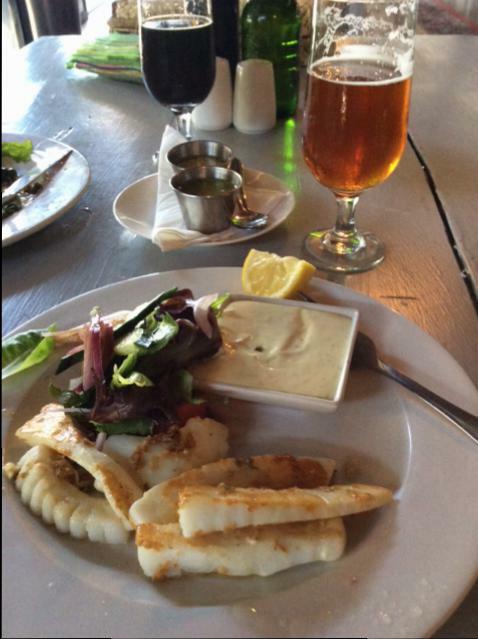 Started by the original creator of Mitchell’s Brewery, it is a micro brewery and a really good restaurant. We tried the tester wheel where a small glass of each of their brews is served and then decided on which one to pair with our meals! A most enjoyable way to pass an afternoon! Being close to the heart of Calamari country, I just had to sample the local fare! Unfortunately, Port Elizabeth has one of the best and friendliest yacht clubs in the country, ABYC, but the same cannot be said for the marina. It is not in great shape and is really only suitable for a temporary shelter from a SW or westerly wind (which is fortunately when most cruisers will need it). The moment the wind swings into the east, the Manganese ore loading berth in the background to the photo above comes into play. It is then directly upwind of the yacht moorings and the wind carries a fine brown dust towards anything moored in the marina. This ore dust coats everything and sticks to sails, decks, halyards, lazyjacks and in fact, every part of your yacht goes brown! Washing down becomes an endless task! The easterly winds also kick up a proper swell and accompanying surge across the harbour and the floating breakwater does little to stop the yachts and the marina from engaging in a deadly dance, often resulting in snapped mooring lines and dock cleats. After two days of these conditions, we decided it was time to move on to our next stop down the coast, Port St Francis. “For me, all of the above, and yet none of them, encompass the many meanings of the word and concept of “home”. Perhaps it’s a consequence of having moved house so many times in my life, both as a child, with my expatriate and restless parents and also as an adult, dragging my family along with me to different parts of this country and the world? Having left the beautiful island of Reunion and with the impending arrival in South Africa, it was definitely time to test my theory! What would it be like? What has changed in the five months since we left? How much have we all changed in five months and would we see “home” through the same eyes as before we left? We departed from Reunion with a stiff south easter blowing, Hari the wind vane steering and two very sorry looking crew huddling around a bucket in the cockpit! Apparently, ‘Desperados’ is a stronger drink than it tastes? The stated destination on our flight plan was Port Elizabeth with the logic being that we had seen enough of the Wild Coast to last a lifetime and there was no need to make landfall in Richard’s Bay or Durban and then go through the ritual of waiting for a weather window with 48 hours or more of winds that are not south west! As it happened, the south westerly clearly heard of our intentions and threatened to intercept us somewhere off East London, if we were lucky. So for once we decided to play safe and changed course for Durban instead. The passage from Reunion was characterized by my ability, as navigator, to find every bit of counter current in what should otherwise have been a fast downhill sail! 1653 miles in 15.5 days was not what we were hoping for but Durban, South Africa, was where we found ourselves! There is something about arriving in Africa that is different from anywhere else in the world and it was that feeling that we experienced from the close encounter with three Humpback Whales in Durban bay to the cheerful ‘welcome home’ from the Port Control radio operator. Once in Durban harbour, the feeling just got stronger and the friendliness of the ‘Durbanites’ just made us feel so welcome! 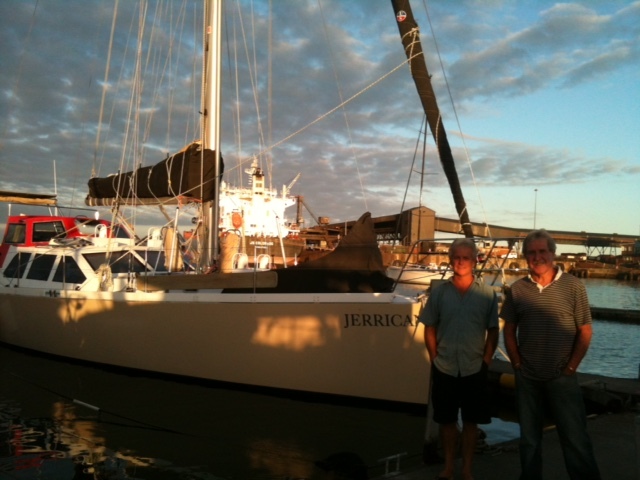 There were Marina Staff to guide us to a open berth and hands to catch our lines. We were signed in in a jiffy and the Marina Secretary phoned the Immigration officials to come down and check us in. All very efficient. And then African time took over and we waited. And waited. And waited. Eventually I phoned the 24 hour number listed on the contact sheet for the Immigration department and spoke to a very apologetic Ms Dlamini who explained that the problem was that their department only had one vehicle to transport officials to meet every ship and yacht arriving in Durban Harbour! Needless to say, we were quite understanding but slightly disbelieving when told that the officials would be with us in “ten minutes”! And they were. Impeccably turned out, polite and friendly. What a pleasure to deal with these Government Officials who were so clearly proud of their jobs and their country! We were a little disappointed to find out that our interaction with officialdom had only just begun! The following day saw the four of us traipsing down what used to be known as Victoria Embankment but is now called Margeret Mncadi Avenue. We had to visit Port Control then Customs, Immigration and Port Control once again! At every stage of this convoluted process we were helped by friendly, laid back officials who made the process pleasant when it could have been really annoying! During our stay in Durban we had our second crew change; Grant and Claire left and flew to Cape Town and our youngest, Megan, joined us for the home run. Just because we were back in our home country didn’t mean that we could stop acting like tourists! Quite the contrary! A chance encounter with a Durban local gave us the idea of visiting another country a few hours drive west of Durban. 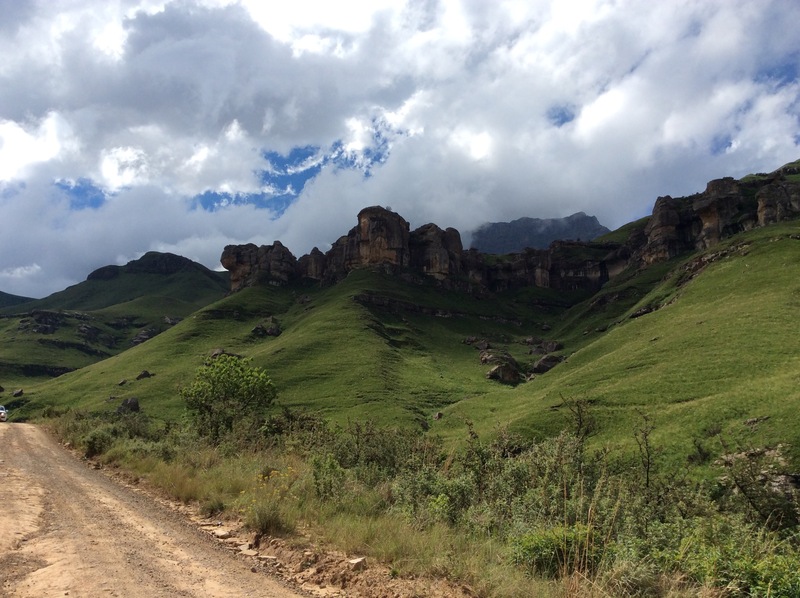 The mountain Kingdom of Lesotho. 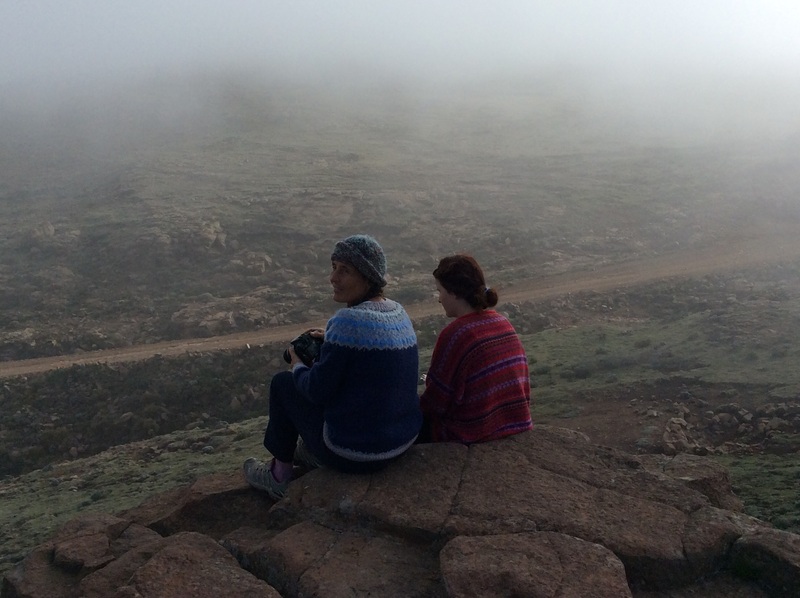 Not a main stream tourist destination, but the journey, in this case, was the adventure. 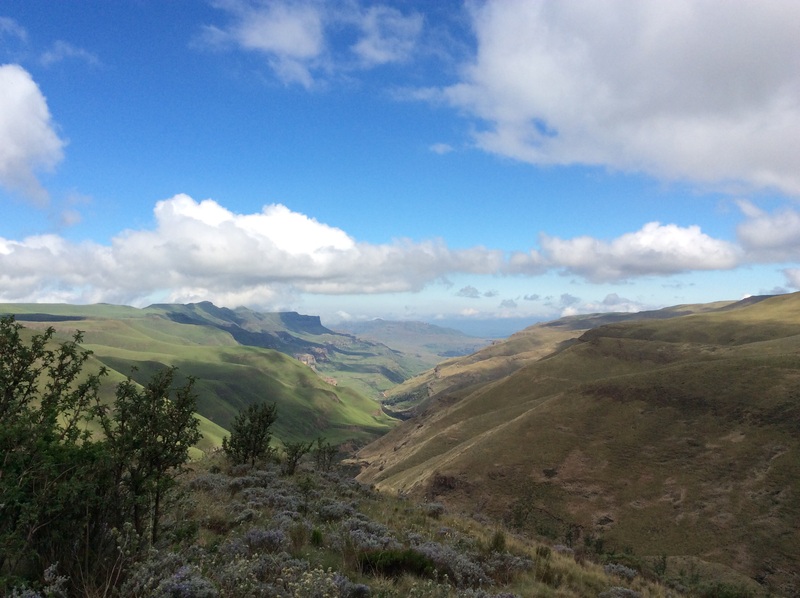 We rented a 4 x 4 bakkie (ute/pickup) and made our way through the KZN Midlands to Underberg for lunch, and then a two hour drive to the top of the Sani Pass. Pit stop to adjust to the altitude! Due to our leisurely pace leaving Durban and lunching in Underberg, we were faced with a choice between rushing to the top of the pass, turning around and rushing down to get through the Border Post before it closed at 18h00, or taking it easy and finding a place to stay at the top of the pass. 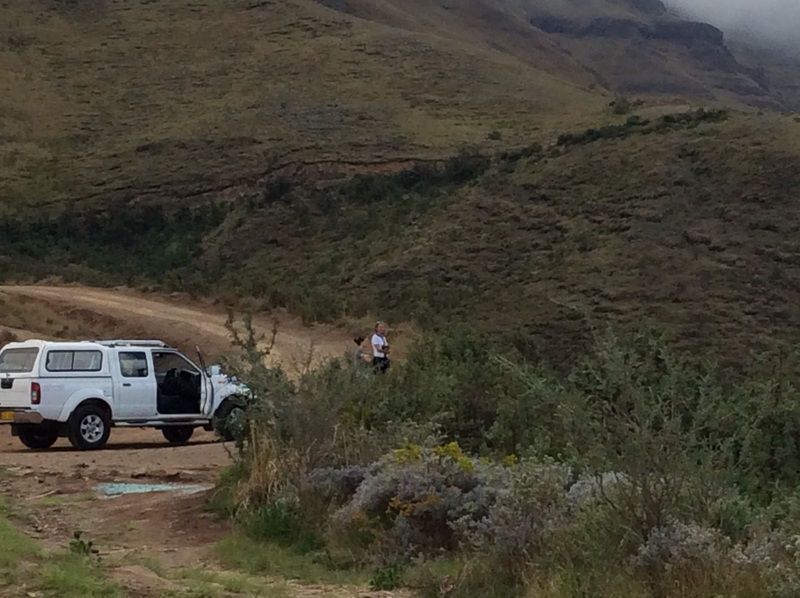 Once we got to the top and went through the Lesotho Border Post, the decision was easy! 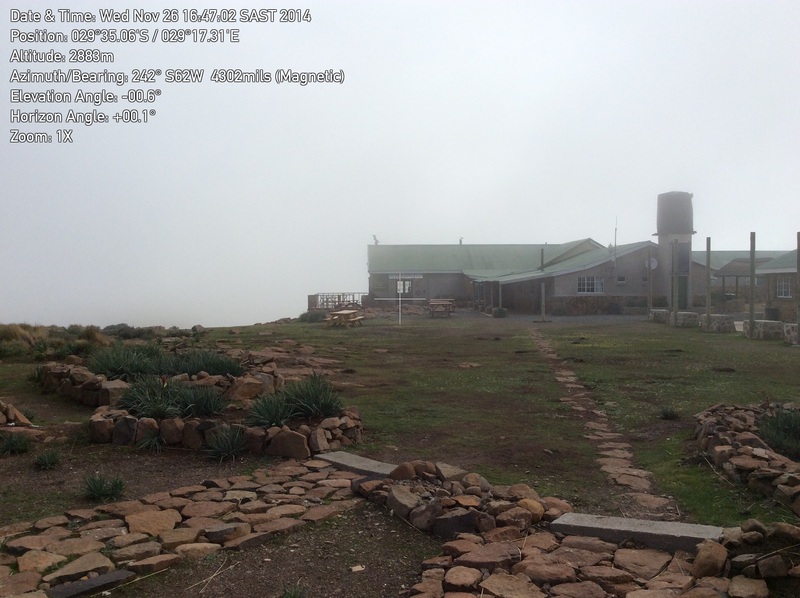 The scenery was breathtaking and the lure of the ‘Highest Pub in Africa’ was strong. We booked in to a chalet at the Sani Top Hotel and went to stretch our legs. 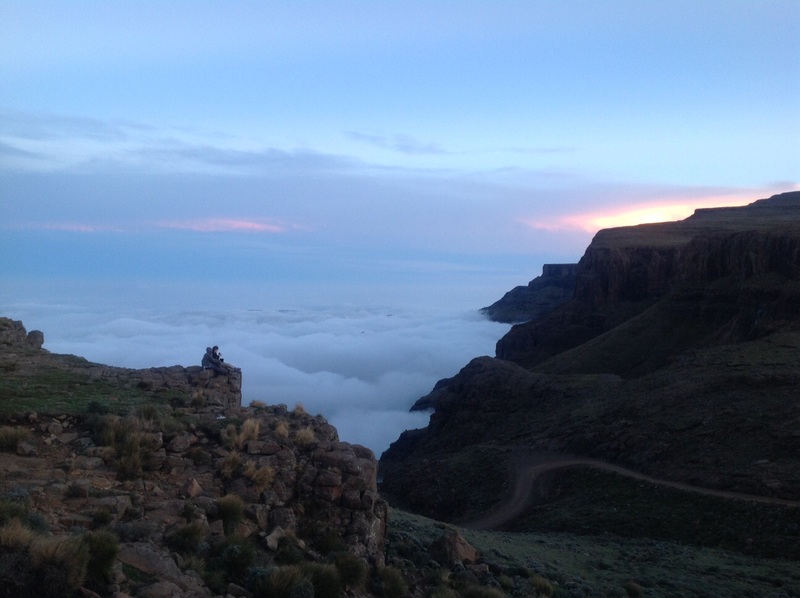 The Sani Pass is at an altitude of 2876m and on the afternoon that we were there, was shrouded in cloud giving a real “Lord of the Rings” feeling! With the temperature outside at close to zero C, we were glad of the fireplaces in the pub, dining room and in our chalet. To have gone from sea level, 30C and 80% humidity to 2876m, 5C and low humidity in the space of a few hours was quite a shock to the system. Fortunately the Staff at the Sani Top Hotel are highly skilled in helping visitors to adjust. Mainly by ensuring the guests are extremely well fed and refreshed! 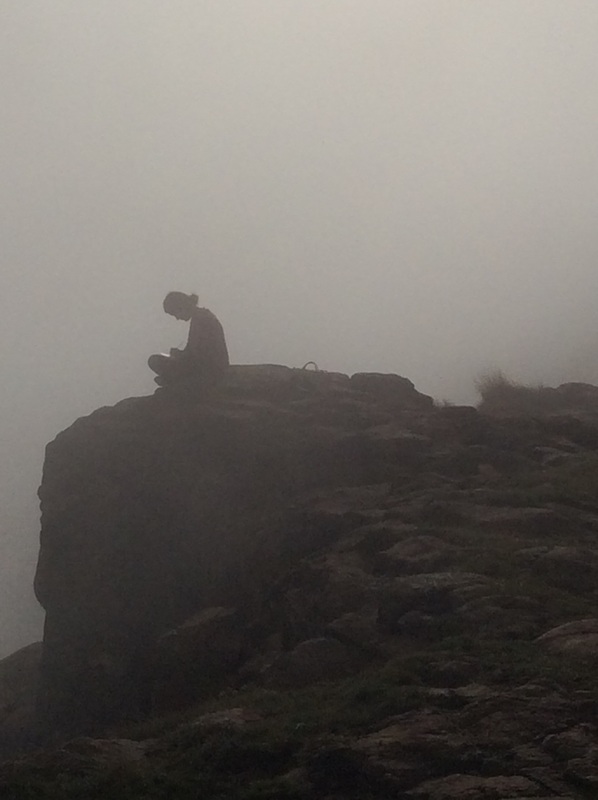 The Drakensberg put on the most spectacular thunderstorm and lighting display in the early hours of the next morning and it was a somewhat surreal experience to just lie in bed and soak up the atmosphere without having to tend to a boat’s needs in the storm! 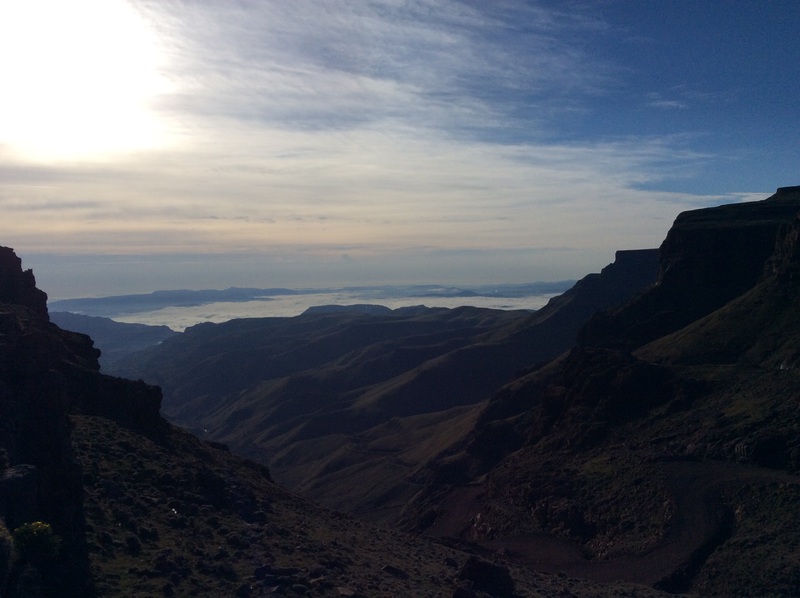 After a sumptuous breakfast in the morning, we reluctantly started on our journey back down the pass. We decided to go the rural route on the way back to Durban and drove through miles and miles of rolling green hills and valleys where farms and rural villages co-exist in scenery worthy of a John Constable painting. We eventually joined the main road system at the start of the “Midlands Meander”, a tourist route through the KZN Midlands, as the name suggests, that showcases an enormous amount of creativity the like of which I had not seen in any of the countries that we visited over the last four months. I guess that’s what makes South African different? That and the amount of paperwork needed to leave Durban by yacht! Were we home? No, not quite. Next stop East London. Author syjerricanPosted on December 22, 2014 December 28, 2014 Tags Africa2 Comments on Home!